Mu saengchae is a refreshing side dish that’s well suited to hot summer days, much like oi naengguk (cold cucumber soup), which I made about a month ago. 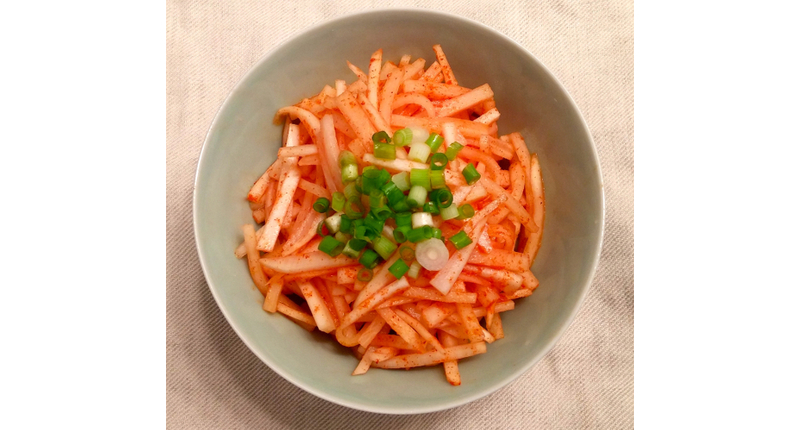 Both dishes offer the satisfying crunch of raw vegetables coupled with the delicious spice of red pepper powder (gochujang) and sour taste of vinegar. Mu saengchae and oi naengguk are also fast and easy to make, no stove or oven required. 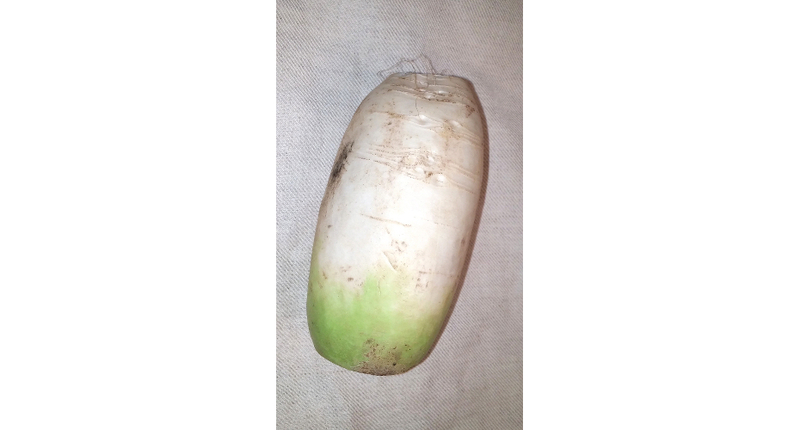 *Korean radishes are white, large and round, with a shape sort of like an enormous potato (see photo above.) Daikon radishes are much longer and sometimes referred to as “white carrots” because of their appearance. You should be able to find these radishes at Asian grocery stores and of course at Korean grocery stores. 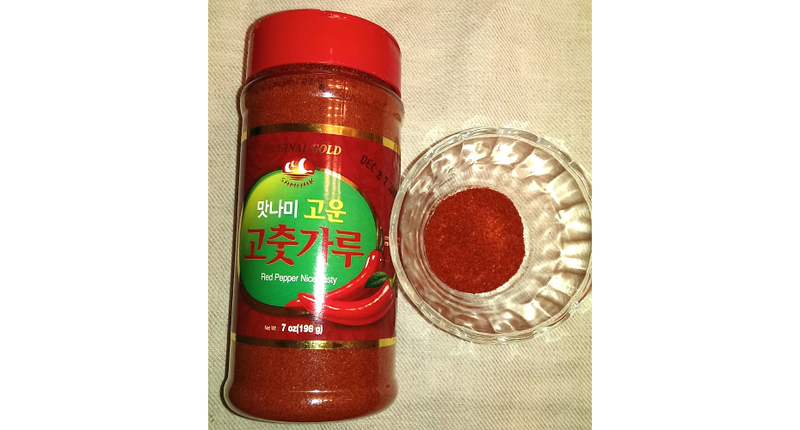 **You can find plastic bags or canisters of Korean red pepper powder (called gochugaru in Korean) at Asian grocery stores or on Amazon.com for about $13 a pound. Gochugaru‘s consistency is between a coarse powder and a fine flake, so it is sometimes called red pepper powder or hot pepper powder and sometimes called red chili flakes. See photo above. Peel radish and cut into thin, matchstick-like strips. Place radish in a large bowl and add red pepper powder. Mix. Mix vinegar, salt, sugar and scallions together in a different bowl. Serve chilled, with white rice.